Hey dude, are your books floating? 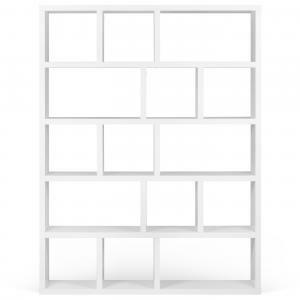 No, it is just a unique and attractive wall display called the Conceal Bookshelf! Conceal bookshelf in powder coated steel. Your books will appear to be floating in mid-air, because this bookshelf is invisible behind a stack of books. Screw the Invisible Bookshelf into a wall stud with the included hardware. To stack your books, place the back cover of the bottom book between the bottom of the shelf and the small lips beneath the shelf, then organize the rest of your books on top. Mounting hardware included. Can hold up to 15 lbs.